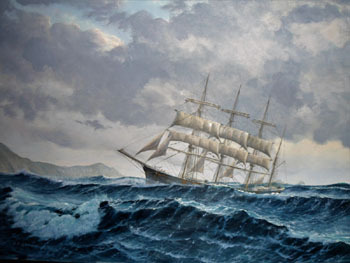 Paintings and limited edition prints by the best of British maritime and seascape artists. We deliver to the UK, the USA, and worldwide. 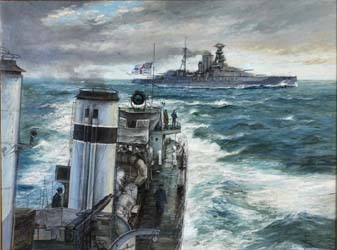 GEOFF HUNT, Past-President of the R.S.M.A., painter of the covers of the Patrick O'Brian books. The full collection of limited edition prints and remarques, including the Patrick O'Brian covers; Nelson's Ships; 'Fighting Sail 1773-1815'; The Kydd Collection; 'Speed Under Sail'. Also original paintings and commissioning service. Original watercolour paintings and limited edition prints. 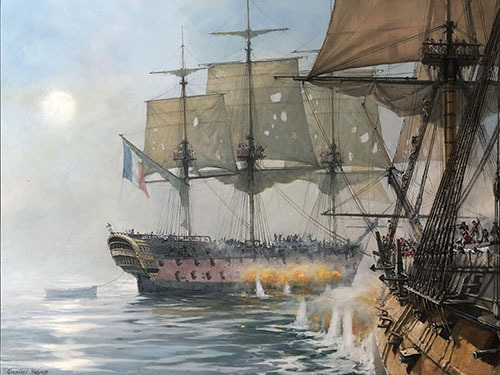 Extraordinarily vivid and detailed depictions of historical marine subjects... Mark Myers is a Past-President of the Royal Society of Marine Artists. 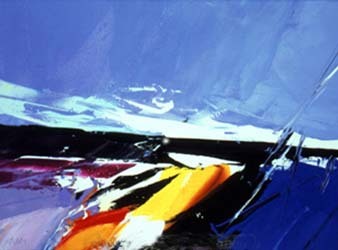 Art Marine is delighted to feature original paintings of yachting and maritime subjects by this highly acclaimed marine artist. 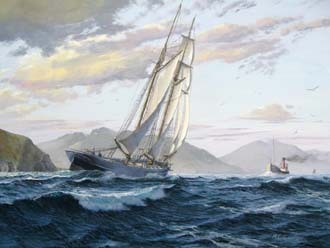 Shane Couch specialises in Americas Cup subjects, J-Class yachting and historical ships of the 19th and 20th Centuries. New work by one of the world's most accomplished marine artists. "Roy transports us to a viewpoint from which we not only witness the moment visually, but also hear the creaking of the timbers and feel the strain of the stays..." Malcolm Henderson, the Moss Collection, USA. 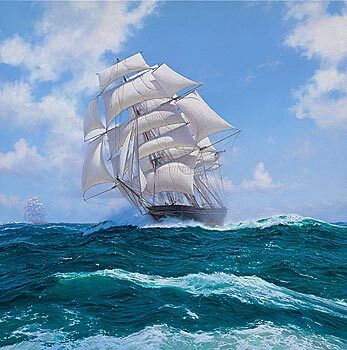 Highly detailed and dramatic paintings of square-riggers and working ships by this award-winning maritime artist. 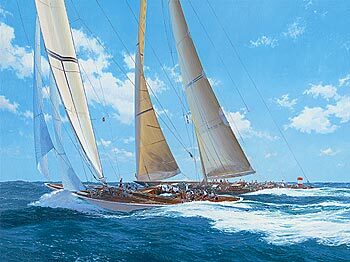 Paintings and limited edition prints of the America's Cup and classic yachting subjects by Steven Dews, Tim Thompson and Brian Jones. 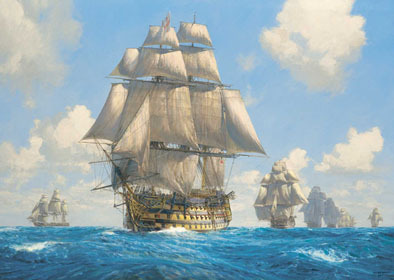 Limited edition prints of historic maritime and naval subjects by classic marine artists, including John Chancellor, Derek Gardner, Mark Myers and Geoffrey Huband. 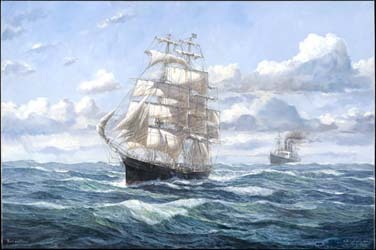 Also open edition prints by Roy Cross and Montague Dawson - one of greatest 20th Century painters of the sea and the deep ocean. Paul Wright's meticulous paintings of famous warships of the 20th-21st century. They represent the leading battleships, carriers, cruisers, destroyers, frigates and submarines of the Royal Navy, the U.S Navy, the Imperial Japanese Navy, the Imperial German Navy, the Kriegsmarine, the Italian Navy and the French Navy. 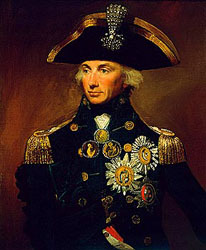 This section is devoted to images of Admiral Sir Horatio Nelson, his ships, battles, life and contemporaries. 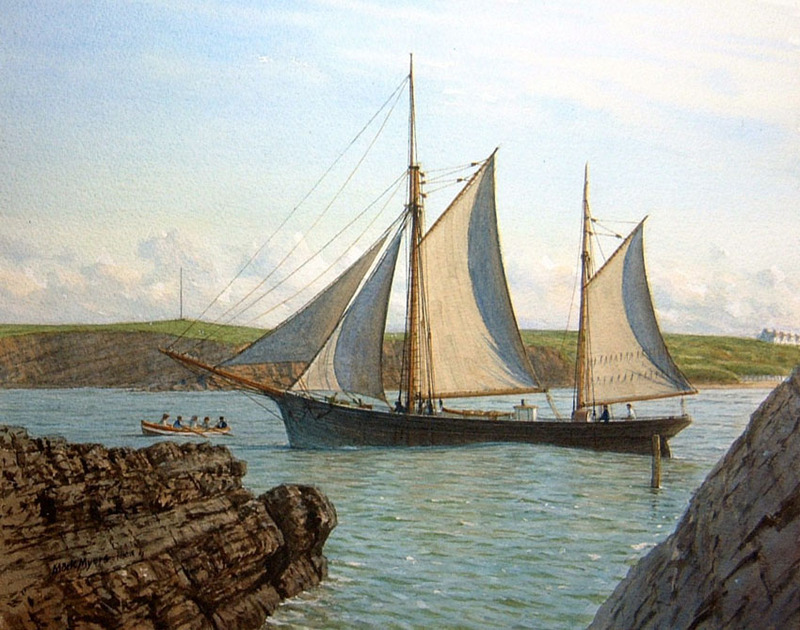 A series of spectacular classic yacht paintings from the award-winning Cornish marine artist. 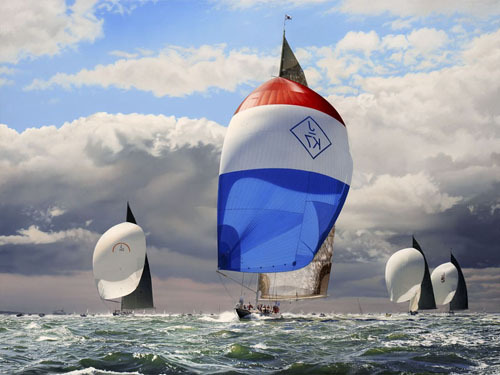 A series of limited edition prints of classic yachting subjects. 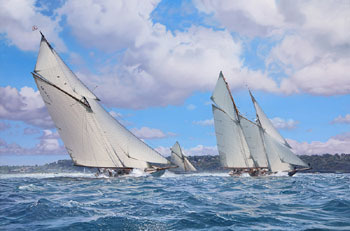 Vibrant depictions of dramatic moments at Les Voiles de St.Tropez, Régates Royales, and the Westward and Pendennis Cups. 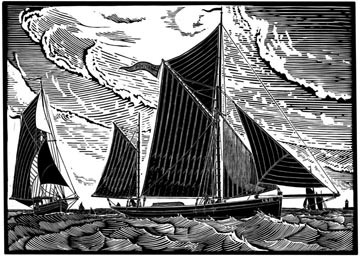 graham clarke - the maritime etchings. Limited edition etchings of seascapes and boating life by author, illustrator and humorist Graham Clarke - one of Britain's most popular and best-selling printmakers. 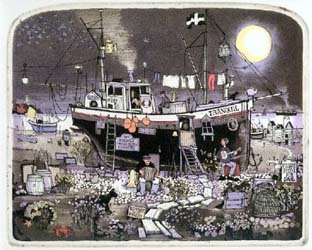 His meticulous etchings capture the essence English maritime life. Limited edition etchings and silkscreen prints by some of the most talented contemporary British maritime artists, including Donald Hamilton Fraser, Graham Clark, Richard Tuff, Emma Dunbar and John McNulty. Original signed linocuts. "Dodds blends imagination, empathy and sheer graft to produce paintings and prints which, in their immaculate detail and integrity of form, express both the physical and metaphysical nature of handmade wooden boats..." The Independent. All engravings for sale in this gallery have been struck from the original antique copper plates on traditional intaglio presses. 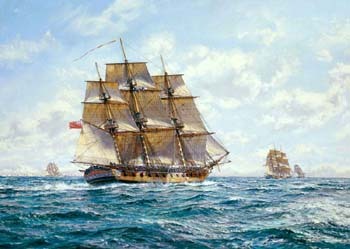 Marine subjects include New York Harbour, Boston Harbour, The Fighting Temeraire and USS Constitution. .. . In this gallery we highlight a series of recommended limited edition prints and paintings by a range of RSMA artists, including Geoff Hunt, Roy Cross, Mark Myers, and Jenny Morgan. 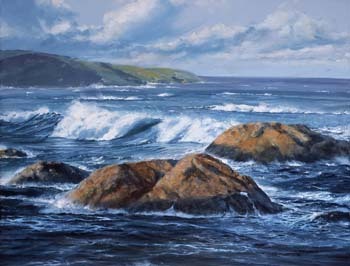 Other artists include Steven Dews, Bob Grimson and Jamie Medlin. marine antiques, ship models and naval memorabilia. In this section you will find some highly desirable collectables, including exquisite models of HMS Surprise, HMS Ahamemnon and HMS Victory. 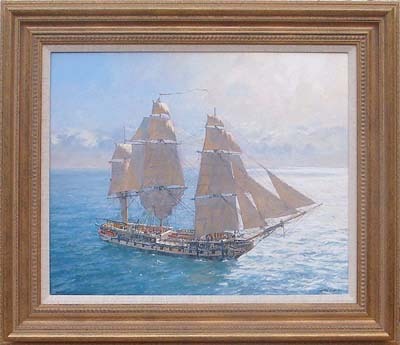 In this new section you can offer for sale and buy marine prints and paintings, ship models and all maritime paraphenalia. 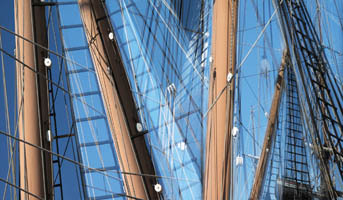 Limited edition photography of maritime subjects by Jenny Okun, Kos and other highly talented photographers of ships, yachts, boats and the Sea. 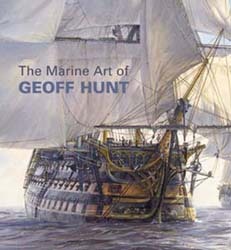 In this new section we present a selection of books of particular interest to those who love maritime history and marine art.